It’s no secret that Barcelona is straining under the weight of the explosion of tourists it has received over the last decade. Each year, more and more visitors head out to the Catalan capital, and the city is struggling to keep pace. Part of the issue is that everyone wants to see the same things, at the same time: the Sagrada Familia, Las Ramblas, the Gothic Cathedral, the Picasso Museum. Every day, thousands of tourists all congregate in the same areas of the city, and overcrowding is a serious issue causing many problems. However, it is still possible to visit Barcelona and be a part of the solution and not the problem. One way you can ease the burden on those over-visited sights is to take a guided tour of some of Barcelona’s lesser visited spots. Not only will this allow you to appreciate the city from another perspective, but you’ll also understand more of the history and culture that makes the city unique. Once you’re done with that, why not check out these other three underappreciated spots and expand your knowledge of this truly special place. Palo Alto looks a lot like any other dilapidated factory complex in the Poblenou district. However, behinds its industrial facade lies a vibrant and dynamic hub of innovation and creativity. Home to offices and coworking spaces, the inner courtyard is bursting with exotic plants and other greenery. Cafes and event spaces also help to give the atmosphere an electric buzz throughout the week. On the first weekend of the month, The Palo Alto Market brings together an eclectic mix of food trucks, vintage stalls, and artisanal crafts alongside some great music and a generally laidback atmosphere. 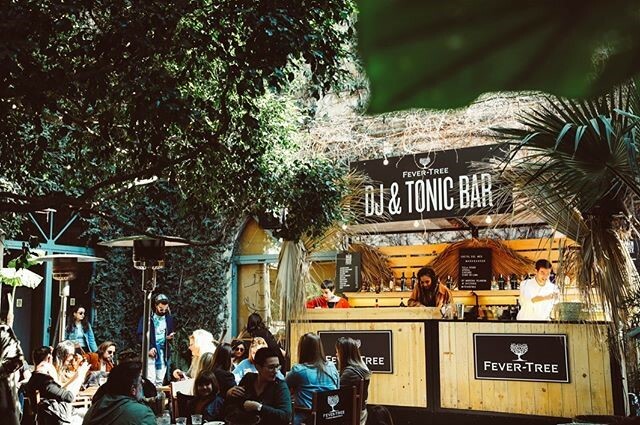 It’s the perfect time to visit these hidden gardens and get a taste for Barcelona’s entrepreneurial side. If you’re looking for THE best views across Barcelona, then you need to head out to the Carmel Bunkers. Standing at a height of 262 meters, these Spanish Civil War era antiaircraft bunkers offer 360º views over the city, and plenty of interesting history to complement those spectacular landscapes. For instance, it’s interesting to note that, while the name would suggest otherwise, these concrete structures were never actually bunkers, and only provided foundations for the antiaircraft artillery over a short period of the civil war. After the civil war, these concrete turrets fell into disrepair. However, with space at a premium in Barcelona, the area quickly grew into a shanty town that existed until the 1990s. Today, the area has been regenerated by the municipality, however, you can learn more about the colorful history of the Carmel Bunkers at the MUHBA exhibition onsite. Entry to the Bunkers is free and they’re open 24/7. Another secret idyll in the heart of Barcelona, the Antic Theatre lies just a few meters from the Palau de la Música. Featuring a large open-air terrace, the courtyard is surrounded by typical Catalan architecture that creates a particularly intimate and authentic space to escape the sun for midday drinks. 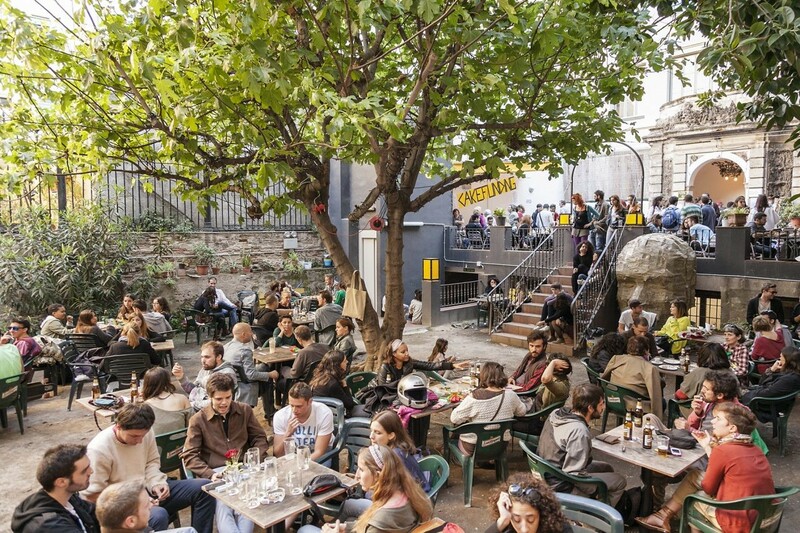 A favorite haunt of Barcelona’s hip young things, the Antic Theatre always has a healthy buzz echoing through the courtyard. After you’ve enjoyed some great food and drinks, you’ll find that the theatre itself also hosts an eclectic selection of productions throughout the year, and the free-thinking spirit of its members maintain the themes of “independence, sustainability, and resistance” through workshops and other community-based programs. For theatre lovers, or anyone with a taste for something a little different, the Antic Theatre is a must-visit venue on our list of underappreciated spots in Barcelona.